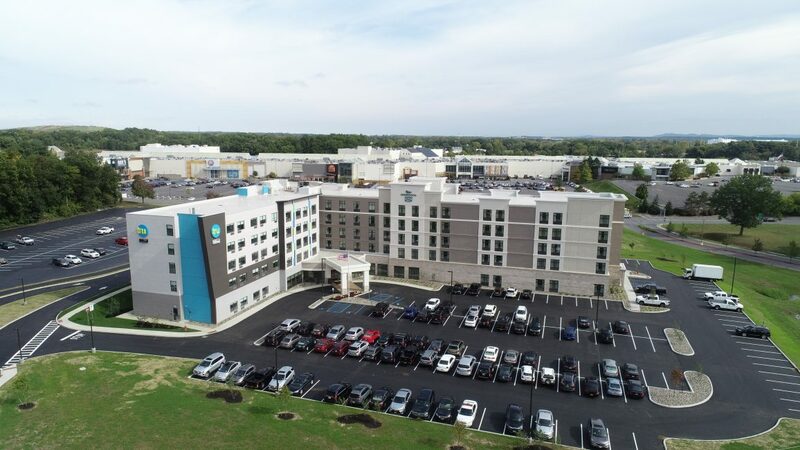 Crossgates and Homewood Suites and Tru by Hilton (NYSE: HLT), celebrate the new on-site 192-room dual-branded Homewood Suites and Tru Albany-Crossgates with a special ribbon-cutting ceremony. Located onsite at Crossgates, this hotel is the first dual-branded Homewood Suites and Tru by Hilton in the country and features two separate areas designed for each brand, unique public spaces designed to promote social connectivity, a swimming pool, fitness center and an outdoor sport court. The multi-brand concept provides larger and enhanced communal areas and amenities than what would be standard at a standalone property, benefiting both business and leisure travelers. The hotel has a mix of unique offerings – each catering to the needs of their respective guests – including designated lobby and dining areas. The property also has a variety of shared amenities including 24-hour fitness center, indoor pool, outdoor grills, sport courts and airport shuttle. The hotel offers a meeting room, and in partnership with Crossgates, additional meeting space can be found at several venues within the center. Developed and owned by Pyramid Management Group, who was recognized by Hilton as the 2017 Developer of the Year, this property will allow guests extra perks at Crossgates, included added savings and conveniences. This includes a Crossgates “Stay & Save” savings pass received at check-in, full of extra savings at various shops, restaurants and entertainment destinations within Crossgates. A “Shop & Drop” delivery service, bringing shopping bags right from the guests hands over to the hotel so that visitors can continue on with ease, will make their trip that much simpler. For more information or to make a reservation, visit HOMEWOOD SUITES BY HILTON Albany Crossgates Mall or TRU BY HILTON Albany Crossgates Mall or call +1 (518) 704-4040 or +1 (518) 704-4010.